The only way to unlock your iPhone with a lock password, other than entering the passcode, is to restore your iPhone to the original factory settings. However, all data on your iPhone will be erased if you perform the factory setting restore. 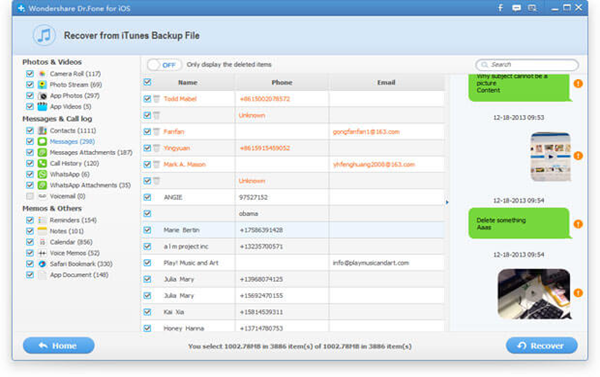 Therefore, you’d better back up your iPhone data with a iPhone backup tool first when you plan to do it. 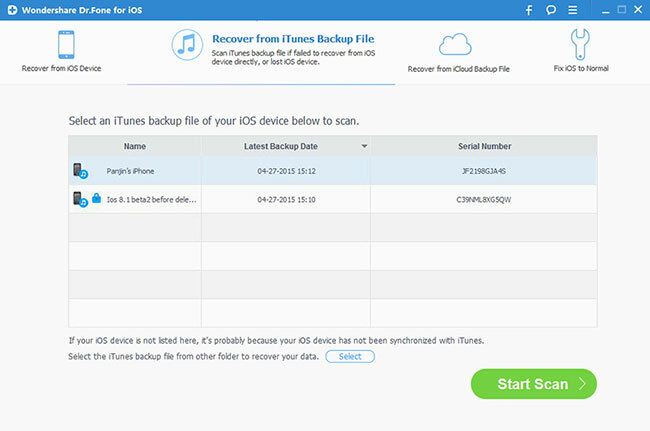 How to backup data from locked iPhone to computer selectively? Open iPhone Data Recovery on your computer and choose “Recover from iOS Device” mode on the interface. Wondershare will detect all iTunes backup files on your computer automatically. Then click “Start Scan” to scan your iPhone. 1. Hold the Power and Home buttons at the same time when you click the “Start” button for exactly 10 seconds. 2. Release the Power button after 10 seconds have passed, but keep holding the Home button for anther 15 seconds. When you’re told that you’ve successfully entered the system, you can release the Home button and begin scanning your iPhone. After the scan, you can preview all the contents of your iPhone including messages, iMessages, contacts, etc. Then mark the file type option on the left side and click “Recover” to save them on your computer. Now, you have successfully extracted and restored data from iPhone selectively, now you can transfer them back to your iPhone . 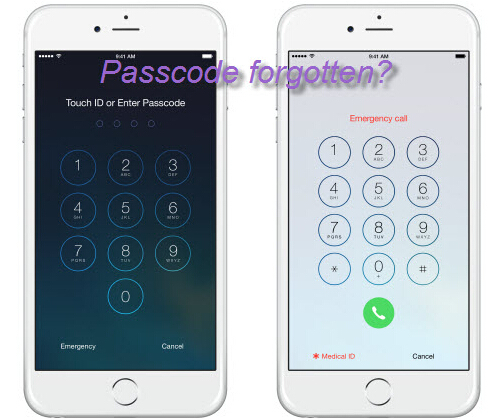 You can reset your iPhone passcode. I suggest you set it as the regular one so that you forget it again. Wondershare Dr.Fone for Android – First aid to recover deleted or lost contacts, text messages, photos, videos, audio files,documents, whatsapp history, call history, etc from Android phones and tablets. How to Export and View iPhone Notes on computer? How to Retrieve Lost Data on iPhone After Failure Jailbreak?